CIC Julius Malema has been accusing them of racism, exploiting their African workers and monopolising the KwaZulu-Natal economy. 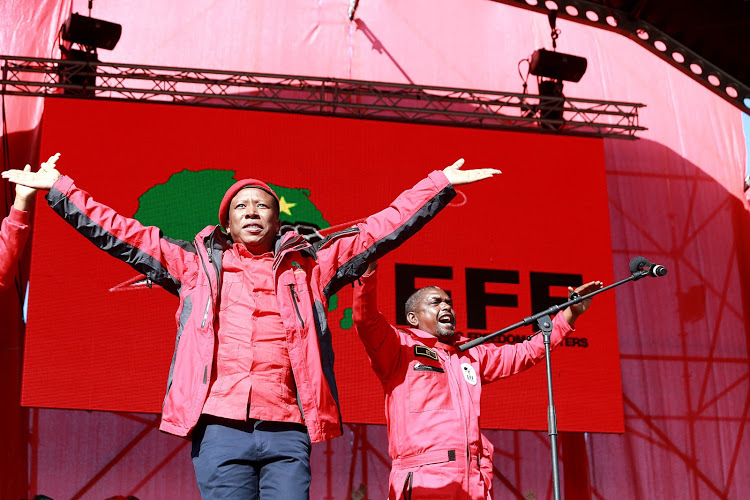 The statements were made while addressing EFF supporters who packed into the Curries Fountain Stadium in Durban for the party’s fourth anniversary on Saturday. “Indians mistreat our people and don’t pay our people properly. This must come to an end‚ and we want a minimum wage. I have been going around here and our people are crying about how Indians treat them as sub-human‚ and the ANC has allowed that nonsense because it is captured. “Political parties in this province are in the pockets of Indian families‚” he said. 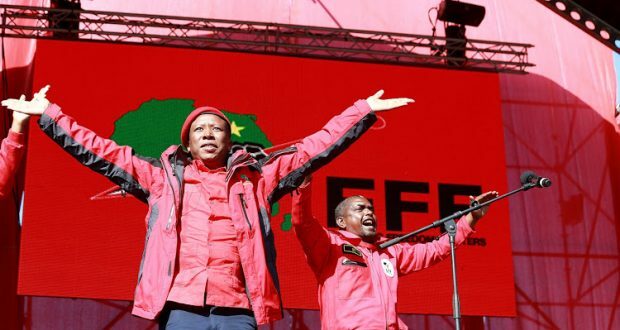 Provincial Human Settlements and Public Works MEC Ravi Pillay, who co-leads the provincial government’s Social Cohesion Committee, said Malema was a “dangerous populist”. “We have been dealing with stereotyping of that nature for some time, and we rejected it with contempt as it goes against the principles of our constitution,” he said. In his rabble-rousing speech Malema said he was not prepared to nurse the feelings of Indians. He took a swipe at local ANC leaders by accusing them of being in the pockets of Indian business people in exchange for lucrative government tenders. Malema said he learnt about the plight of African people when he went door-to-door in the province ahead of Saturday’s celebration. “They don’t pay our people. The Indians who own shops don’t pay our people. They give them food parcels. We want a minimum wage even in the Indian shops. “When you are black and you have a domestic worker, pay them the minimum wage and treat them properly. If you are an Indian and you have a shop, treat our people properly,” Malema said. Malema said some Indians had “captured the ANC” and other KZN-based political parties, and used this to “mistreat their black workers”. “They are treating them as subhuman, and the ANC has allowed that nonsense because the ANC is captured here in KwaZulu-Natal, and all political parties in KZN are captured. “They may not be captured by an Indian Gupta family, but they are captured by other Indian families,” he said. Annipen said he was not surprised by Malema’s utterances as he had always been “the type of politician that thrives on sensationalism”. “When he goes to provinces where there is a large white population he attacks white people. “Likewise, when he comes here to KZN he attacks Indian people. This is one of the reasons the EFF has never been able to make inroads into the Indian electorate,” he said. Annipen said the notion that Indian people abused their black counterparts was “ludicrous”.